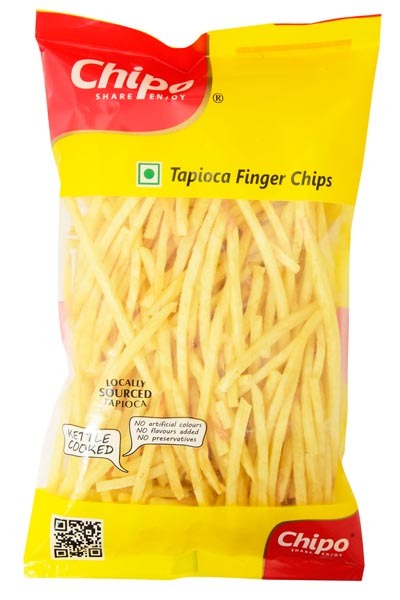 We sell Tapioca chips prepared using 100% authentic and fresh ingredients only. 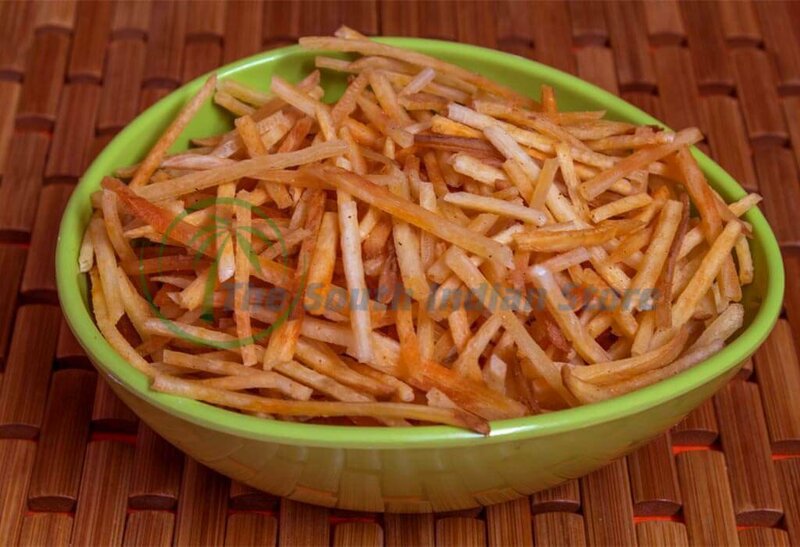 Tapioca chips are procured from our vendor only after we receive the order online. We do not maintain stocks. To retain the quality of the Tapioca chips, we ensure that the packing is good enough to withstand the transportation impact. All orders of tapioca chips are shipped after proper inspection by our quality control team. 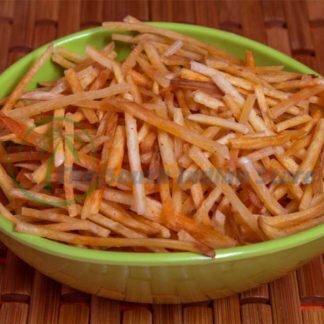 We are among the top online sellers of Premium quality Tapioca chips from Chennai. 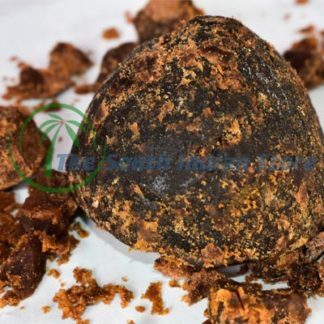 are made of raw Tapioca which are basically the roots of Cassava plant. It is similar to Potato grown inside the earth. 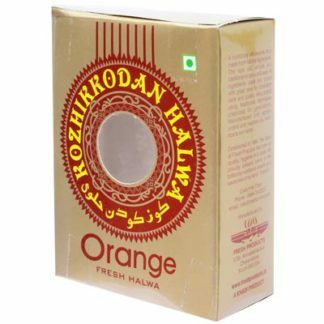 It has high nutritional value and is highly consumed as a daily product in southern parts of India including Kerala and Tamil Nadu. Apart from being a dish, tapioca is also famous in the form of Tapioca chips or Tapioca Fries. They are crispy and spicy to taste. Fried Tapioca when mixed with salt, pepper and other ingredients, gives a special irresistible taste. 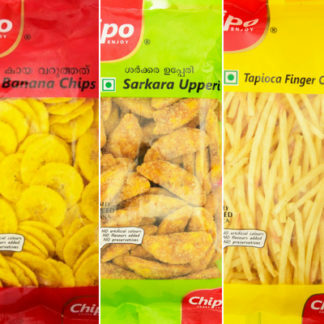 At The South Indian Store, we ship freshly prepared Tapioca chips across the country without compromising the quality and the taste. 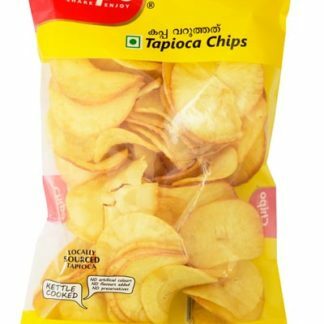 The South Indian Store is happy to announce that we are among the Top 10 sellers of authentic Tapioca chips online across India. 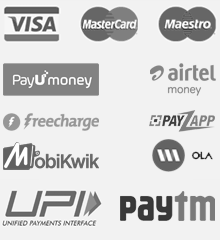 Our quality standards and customer rating is by far the highest. 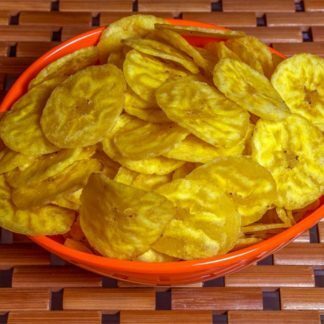 Crispy and healthy snack it is. I also appreciate the packing you have done. Quality of product is good. You just need to improve on your speed of delivery. These are really crispy and better than potato chips. I tried them for the first time and they are really good. Similar to french fries but better taste and healthy too.